The Visa Inc. company is a global payments corporation which facilitates electronic “cashless” currency throughout the world. Most of us will be extremely familiar with the well known Visa brand these days, and the majority of us in the UK will either have, or have come across a Visa credit or debit card at some point or other. The company originated in Fresno, California back in 1958, and its founders had a simple and unwavering vision to be the best way to pay and be paid for everyone, everywhere. Providing that your card is in credit with sufficient funds, a Visa card provides a secure and seamless instant payment method that can be used 24/7 worldwide. Visa has always been a very common payment method used for online bingo, and almost every online bingo site will have a Visa card payment option these days. It allows players to deposit and withdraw from an account quickly and safely via a highly established company, and it’s super easy to set up in just a few simple steps. The best thing about this particular payment method is that most online bingo sites require you to register a credit or debit card upon sign up now anyway. This is mainly for proof of age purposes, but if you use your Visa card in this process when signing up to a site, then you won’t have to worry about it ever again after the initial registration. Funds will automatically come in and out of the Visa card account, and as the card will be registered with a bank account, you can then easily view activity via bank statements, telephone or online banking. It is worth mentioning that the Visa company themselves do not issue the cards. They also don’t extend credit or set rates and fees for consumers using their cards. This will obviously be arranged via your own personal bank or building society, and will vary depending on your personal credit history and current financial situation. The main point of the Visa card is to then offer consumers ways to use it for credit, debit, prepaid and cash access programmes. Visa’s journey began in California back in 1958. This was the same year that the Bank of America launched the first consumer credit card programme for middle class consumers and small to medium sized merchants in the US. The folk behind Visa wanted to create a simple and effective payment method that could be used by everyone, everywhere, and the first card was launched as the BankAmericard. This was the first ever card created to have a revolving credit feature, something that had never been seen in banking before. It didn’t take long for the company to grow, and what once started out as a small business idea soon enough grew right across the world. In 1976 the BankAmericard became Visa, and then the company expanded internationally in 1974. The name Visa was chosen as it was thought to be universal, a name that would sound the same in any language. It was in 2007 that many regional businesses throughout the world merged to form Visa Inc. This formed a huge global corporation which now currently operates in more than 200 countries and territories across the world. Visa Europe remained member owned until 2016, but have since gone on to also merge with Visa Inc. The company now all falls under the same umbrella. 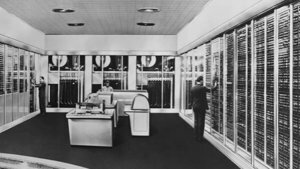 1958, the BankAmericard is born – The BankAmericard was launched with a revolutionary “revolving credit” feature. This was the first ever card of its type and revolutionised the cashless banking system. 1976, BankAmericard becomes Visa – The Visa name was chosen to be universal and something that sounded the same in all languages. 2007, meet Visa Inc. – Visa forms a global corporation, whilst Visa Europe remains member owned. In 2016 however Visa Inc. and Visa Europe also merged, and the Visa Inc. company now operate in more than 200 countries and territories across the world. Nowadays Visa is such a well known and massively popular brand, that nearly of us are familiar with it one way or another. Although the focus of the initial Visa company still remains the same, the Visa Inc company continue to evolve and enhance their services all the time. 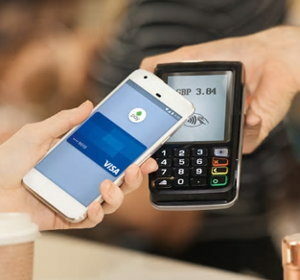 Credit and debit cards with contactless payment. Mobile phone applications and “cardless” technology. The future of Visa Inc continues to look bright. From a simple business idea over 50 years ago grew the revolutionary “cashless” bank card system that we now know and love. The company still appears to be going from strength to strength. Out of all of the online bingo payment methods available, credit and debit cards are the most widely used as most sites will have them as on option. Visa is one of the most popular choices of cashless payment throughout the world these days, and almost every online bingo site will accept payment from a Visa credit or debit card. Using a Visa card to play online bingo is one of the simplest options nowadays. Most people will already have one set up with a personal bank or building society account, and also you will generally have to register a credit or debit card when you sign up to an online bingo site anyway. Nearly every site that offers Visa as a payment method will give you the option to deposit and also withdraw using the same card. This again will be really simple and efficient, as all transactions will go through just the one card. Once you have registered and set up a card with an online bingo site, then the site will store that information on your account. You may choose to register several different types of payment methods including other cards, Paypal or ewallets too, and the site will then ask you which one you would prefer to use each time you deposit or withdraw. Make sure the card has sufficient funds. Visit the cashier/banking section of the online bingo site. Select card payment and choose either Visa or Visa debit (will depend on the type of card you have). Enter the card details as requested including the name, card number, expiry date and CVC code on the back of the card. You can then use the registered card to fund your bingo account by choosing an amount to deposit each time you want to top up your balance. Once the card is then set up, you can skip steps 1-4 and just choose an amount to deposit when you need to fund your account in the future. 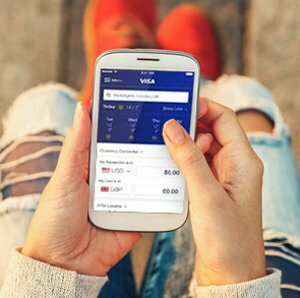 When it comes to withdrawing funds this is also pretty simple with Visa. A lot of online bingo sites will generally pay out any winnings the same way that you deposited. Therefore if you paid in using your Visa card, your requested winnings will then go back onto that card too. Again if you have several payment options set up on your account, then just choose the Visa option when withdrawing if you wish the winnings to go back onto that card. As mentioned before, the Visa company themselves don’t provide rates and fees for their consumers. Therefore it is worth checking with your own specific bank or building society to find out whether any charges may occur when using a Visa card to fund your online bingo account. Visa credit cards are more likely to invoke charges than Visa debit cards when used online, however this will all be down to the initial agreement made with your banking provider. All Visa Debit, Credit and Electron card payments are generally instant. Withdrawal processing times can vary, however payments usually take between 3-5 working days to reach your account. On rare occasions, some of the smaller online bingo sites may not allow you to withdraw funds back onto a Visa card. This is very often not the case, but if it is then you will be able to withdraw the funds via a bank transfer. This will take between 7-10 days to receive the funds. Again, this would be very rare, but just always double check the terms and conditions before depositing with any online bingo site. Whilst using a Visa card to fund your online bingo account is considered one of the most simplest and quickest methods of payments, as with most payment methods these days there are always some factors to take into account. Some credit and debit cards may come with spending or transfer limitations on them, so always check these with your banking provider before using your Visa card. Generally however as long as your Visa card is in credit with sufficient funds, then you should be able to use the card very easily for deposits and withdrawals on your chosen online bingo site. 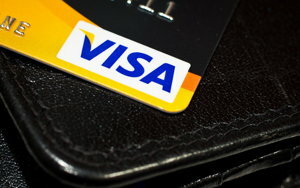 Visa Inc. is a huge global corporation. They boast to be one of the safest and most established cashless payment companies in the world, and they promise to go above and beyond to assure consumers online safety. Most online bingo platforms these days also offer exceptional safe and secure banking systems too, however it is always best to be aware of online hackers and fraudsters when using any personal details online. A lot of banks these days will require additional passwords and offer up special encrypted pages to ensure your safety when processing payments online, but always make sure that your internet connection is ran on a secure server and your details are unable to be reached or viewed by anyone. Unfortunately on rare occasions safety can be breached, so it is always best to be on your guard and never enter any payment details if the site doesn’t seem official or secure. If at any point you feel like your Visa card details may have been hacked, then contact your banking provider or Visa straight away. The chances of this happening are highly unlikely when playing online bingo, but it is always best to be somewhat cautious. If you ever come across any issues whilst using your Visa card to fund your online bingo account, then you can always contact your own banking provider for help. 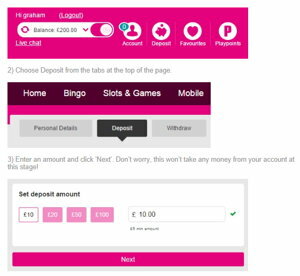 Most online bingo sites will also have their own FAQ sections too, with a live chat feature if it’s something regarding their own banking system. Visa Inc. is a highly established, extremely reputable company across the world. 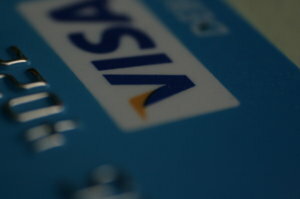 The majority of people in the UK will have easy access to a Visa card these days through their local banking provider. You will generally have to register a credit or debit card when signing up for most online bingo sites anyway, so you won’t have to set anything up after that. Once registered most sites will allow you to both deposit and withdraw everything on the same card. It’s very easy to keep track of funds via your local bank with statements, online and telephone banking. Depositing funds into your online bingo account will be instant. Withdrawals are fairly speedy, and you will receive any winnings between 3-5 working days. There is extensive help available via your own bank and the Visa Inc. company should you come across anything that you don’t understand. It is very quick and easy to cancel a Visa card should anything go array or you ever feel unsecure online. All in all Visa is a brilliant option to use when funding an online bingo account. It’s fast, simple and easily accessible, and once you’ve set up the card once you won’t have to worry about it again, so you can then go ahead and just enjoy playing some great bingo.